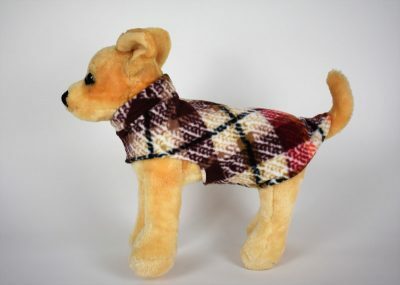 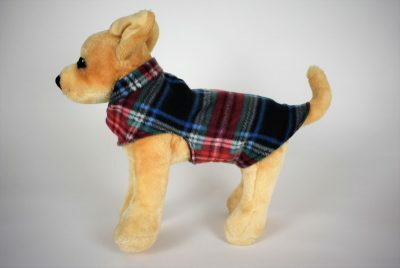 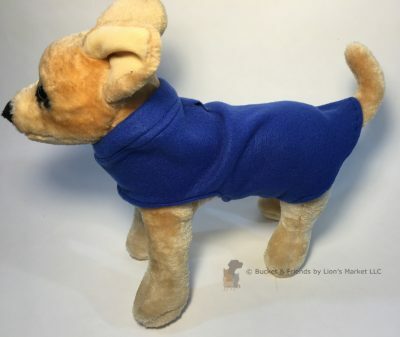 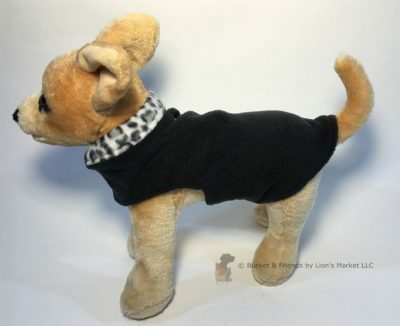 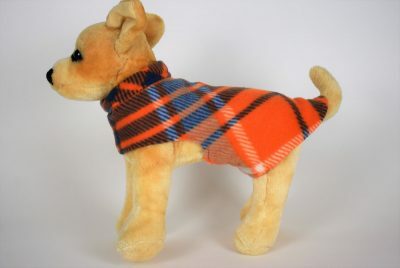 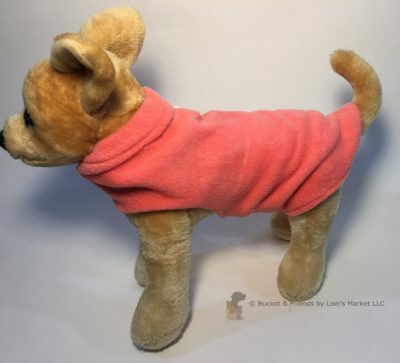 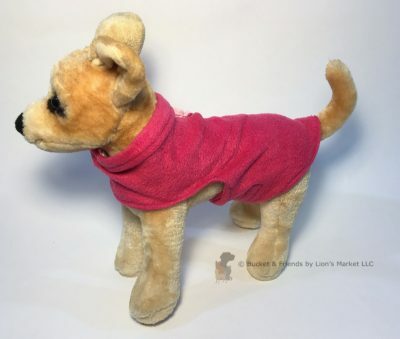 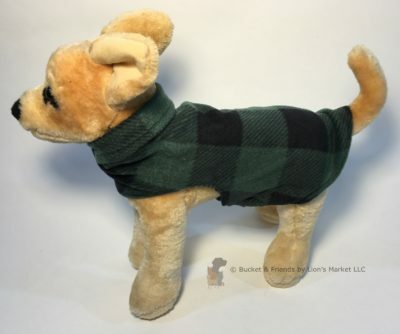 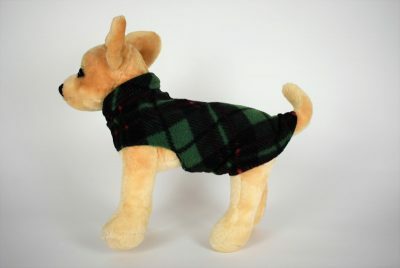 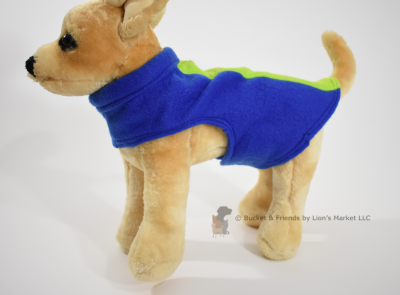 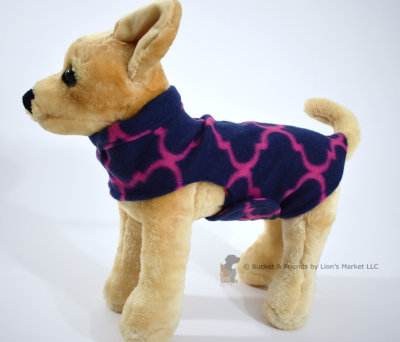 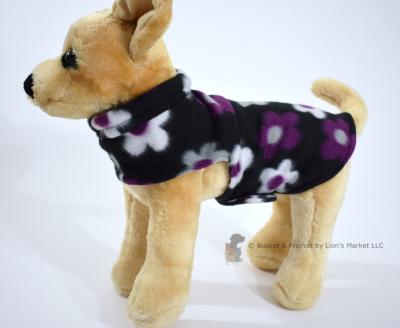 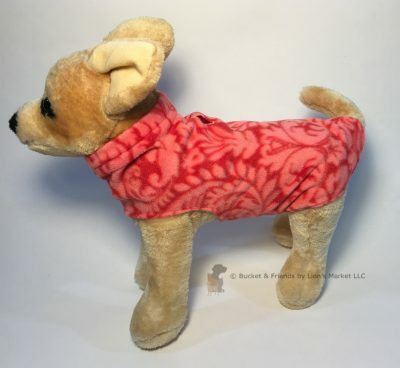 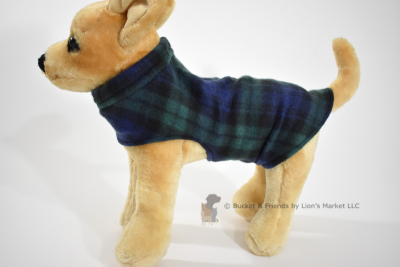 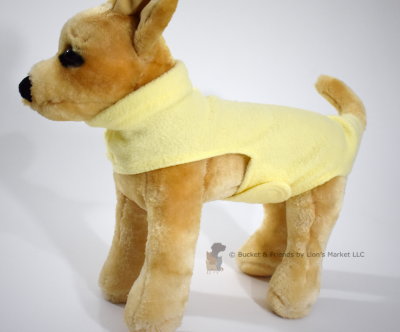 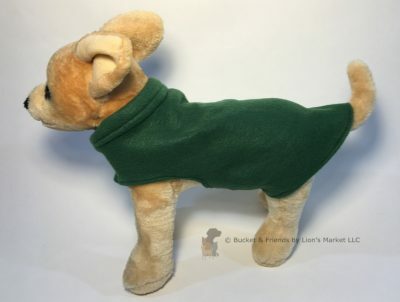 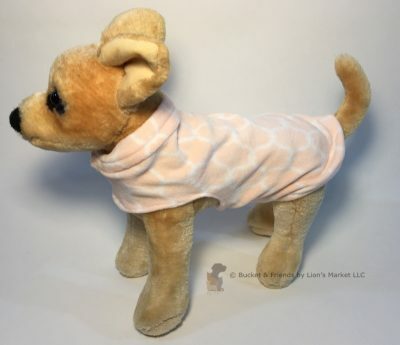 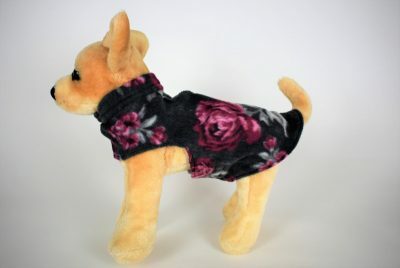 Our fleece dog coats will keep your dog warm and snugly. 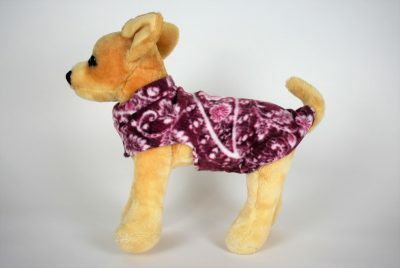 They are easy to put on, just slip over their heads and fasten the hook and loop closure underneath. 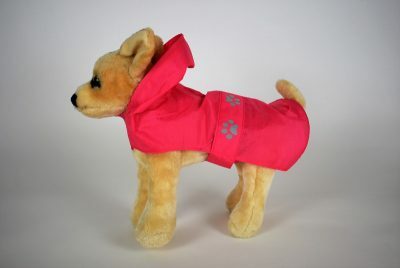 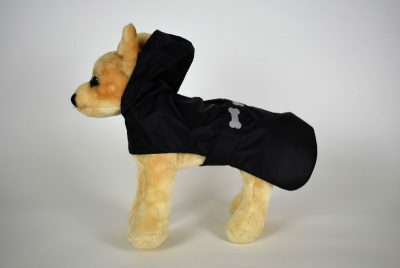 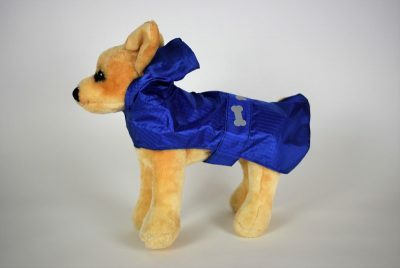 Our raincoats have safety reflectors, a hood, and adjust at the neck and the belly. 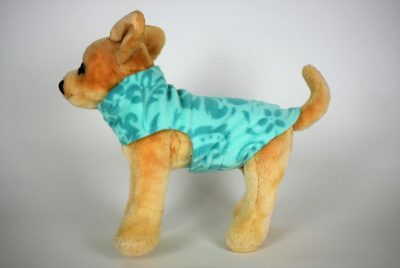 For measurement instructions please click here.